In the November and December BeeLines, I have used data that is available for anyone to see at the Bee Informed Partnership website: https://bip2.beeinformed.org/loss-map/. This is where all of the information provided by the USDA Honey Bee Health Surveys is recorded. Should you find yourself snowed in, you may enjoy looking at the data. As of Nov. 30, 2018, Kentucky has experienced the most rainfall ever recorded. Consequently, honey bees are beginning to eat the honey has been reserved for colder months. I’m receiving reports and photos of colonies that have consumed their honey (i.e., their fuel). Please make a point to check your colonies the next break we get in the weather. This time of year, fondant (white and unflavored) makes an ideal supplement because it provides sugar without introducing moisture into the hive. I’m compiling a 2019 Beekeeper Education Schedule. 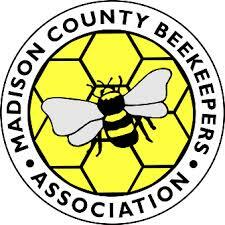 If you are coordinating a beekeeping or a queen production event and want your event listed on this calendar and/or in the 2019 BeeLines, please have your information to me by December 12, 2018. If you are still finalizing the details for your event, we can always get it listed later in the winter or spring, but I’d like to post this calendar online at the end of December so folks can make their plans. Hope you have a wonderful holiday season and a happy new year!